For most people, owning a car is essential to good financial health. Most people need a car to get to work and take care of themselves and their family. 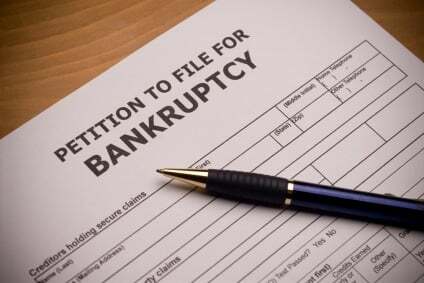 For this reason, bankruptcy law provides a number of ways to protect a car while eliminating a lot of debt. A car is an asset and more expensive cars can be taken to pay creditors in a Chapter 7 liquidation case. The car federal and state car exemptions are about $3400. You can stack up to $11,975 of federal wildcard exemption on top of the car exemption. If you file a Chapter 7 and have a more expensive car that is paid in full, or several cars, you should be careful about choosing the right exemptions to protect these cars. If you are file a Chapter 7 and are still making payments on a car, you can usually keep the car if you just keep making the payments. The car finance company will want you to sign a reaffirmation agreement, excepts the car loan from the bankruptcy discharge. That means you take on the risk of defaulting on the loan after the bankruptcy. If you fall behind on the car loan or the car is destroyed while the insurance lapses, you could find yourself in a lot of debt for a car you no longer have on top of having a bankruptcy on your credit report. A car company can repossess the car if you don’t file a reaffirmation agreement even if you are current. Many car finance companies will not repossess the car as long as you are current even if you did not sign a reaffirmation agreement. Another option in a Chapter 7 is to give the car back and walk away from the loan. If a car has been repossessed before filing the bankruptcy, you may owe a car deficiency – the amount of the car loan left over after some of it was paid by the sale of the car. One final option in a Chapter 7 is a redemption, which allows you to pay off a car loan in the amount of the car’s value only. Some finance companies specialize in loaning money to people in Chapter 7 for a redemption. If you are able to come up with the cash to pay the creditor the value of the car, you can do the redemption without financing. Either way, you need to file a motion and work out what the value of the car is in court. Chapter 13 bankruptcy provides more ways of protecting cars. You can pay the value of car you can not protect with exemptions to creditors over five years. You can consolidate a car loan with other debt in the Chapter 13 payment plan. If you purchased your car over 910 days (two and a half years) ago, can “cram down” the loan and pay the value of the car only through the plan.